We had such a great time at our last ArtStarts on Saturdays (which also happened to fall on Culture Days! ), that we can hardly believe that it's almost time for another. But time keeps on rolling along... and so does our next performer! Literally. 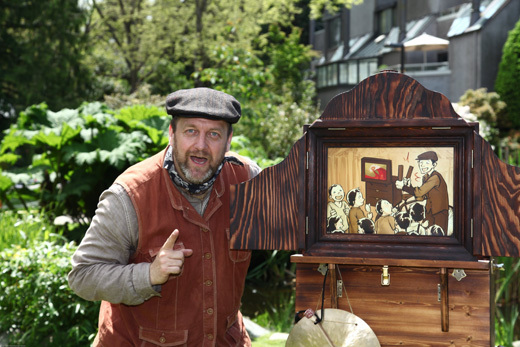 Stories on Wheels, presented by Pangaea Arts, is an original street theatre act for the whole family, based on a traditional Japanese travelling storytelling show called kamishibai. 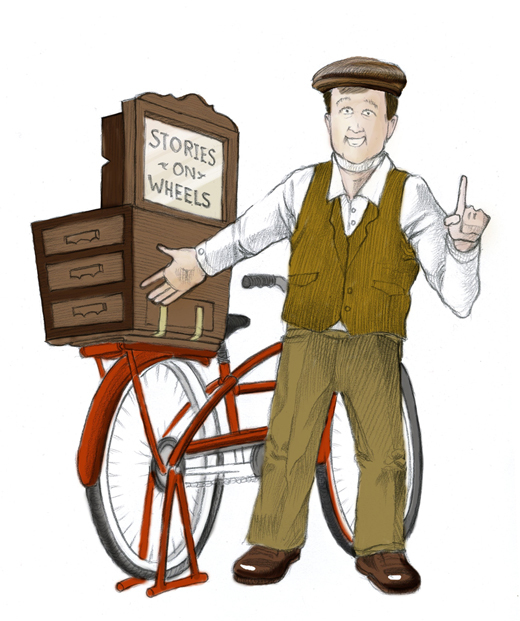 Tales are brought to life by a high-energy comic performer, using picture cards displayed in a magnificent miniature wooden stage attached to the back of a bicycle. You've never been told a story this way before!